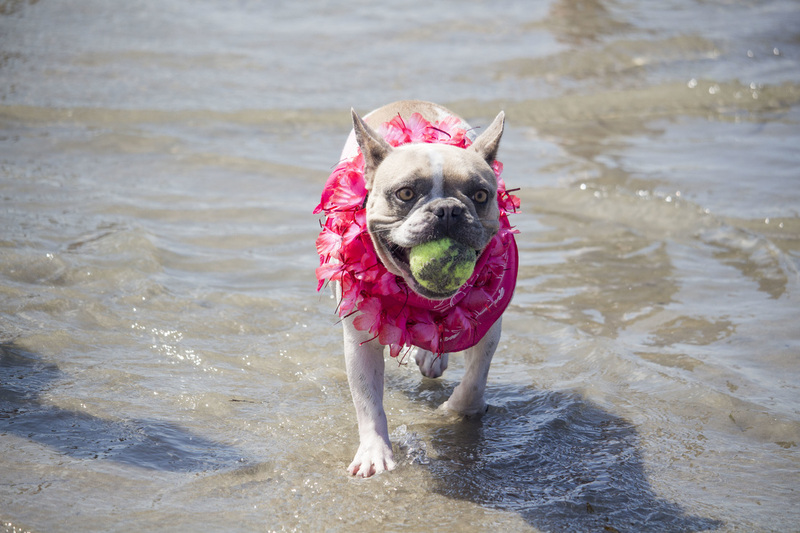 Favorite Sports/Activities/Pastime: Playing at the beach and the dog park. Playing fetch with my ball or flying squirrel. Hanging out with all of my Frenchie Friends. 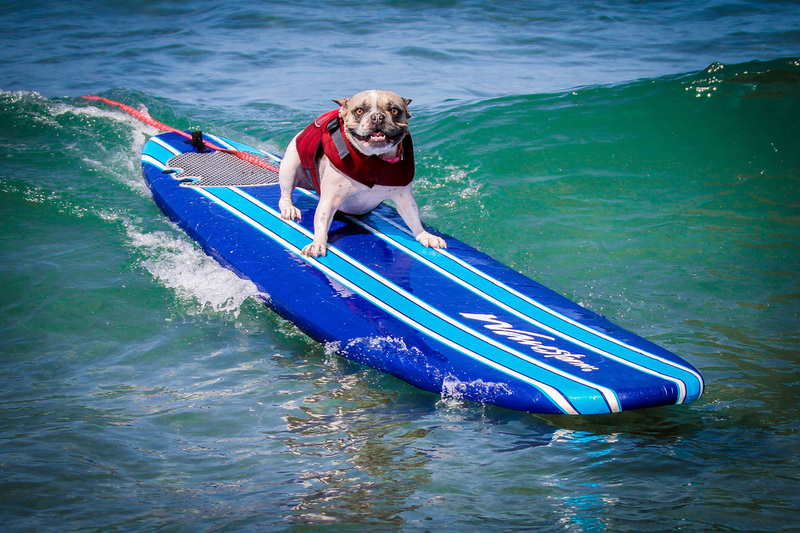 Oh, one other thing......Surfing! 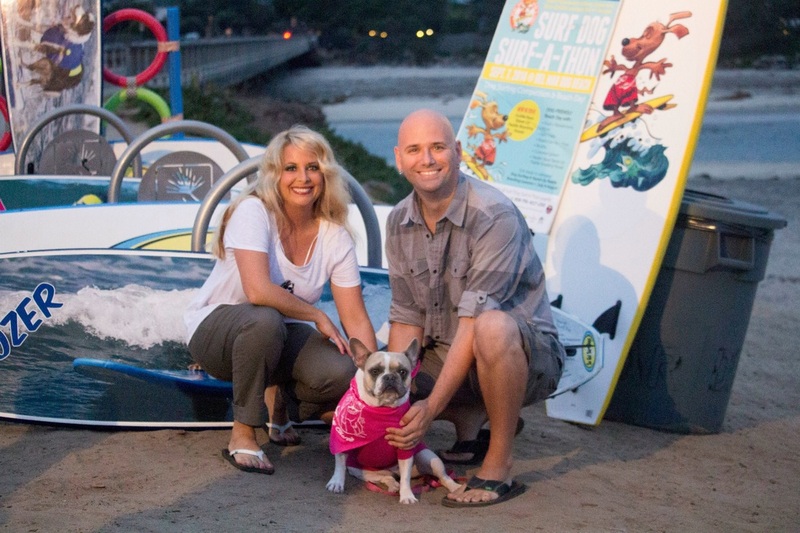 Favorite Dog Park: Central Bark, Irvine California! 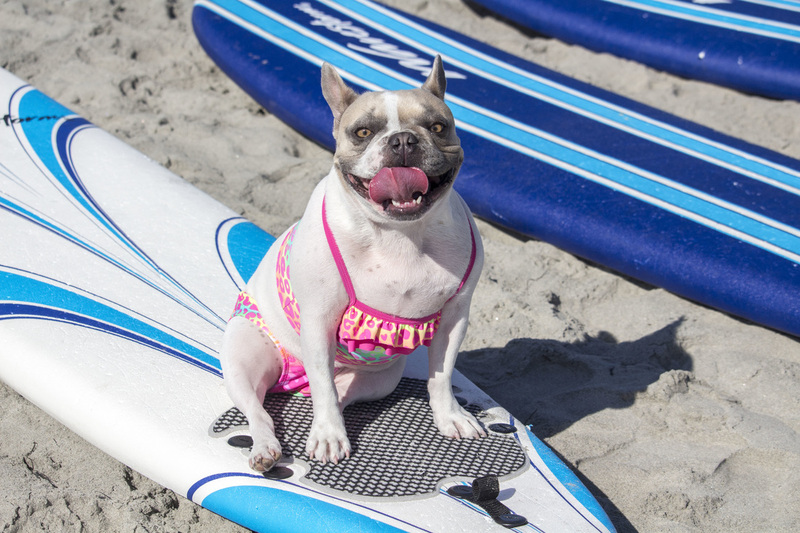 ﻿My name is Cherie and I’m a surfing French Bulldog living in Newport Beach, CA! I was born on September 20, 2011 somewhere in Texas before being surrendered to the French Bulldog Rescue Network because my family didn’t like me. 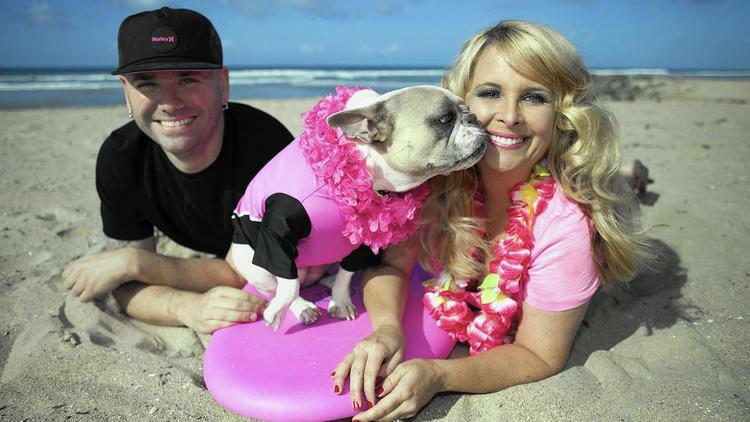 I moved to Southern California and lived in a foster home for a little bit before moving home with my mommy, daddy and brother Ace in March 2012. 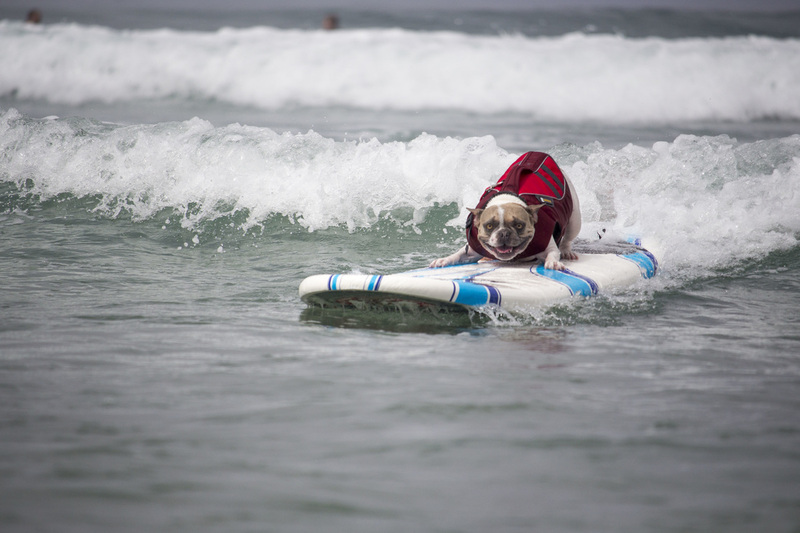 I’m not your typical Frenchie… I LOVE THE WATER! 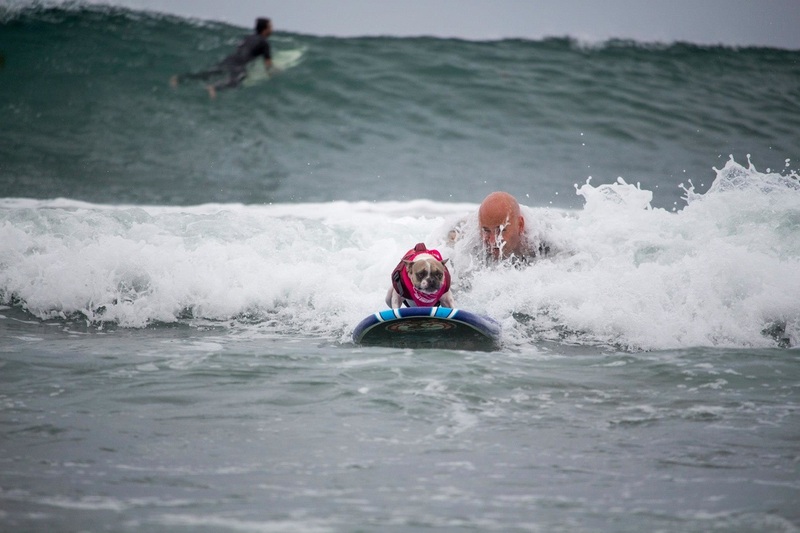 I spent a lot of time at Rosie’s Dog Beach in Long Beach, CA chasing the big dogs into the ocean and, after a suggestion from a friend, decided to take Dog Surfing lessons in the summer of 2013. 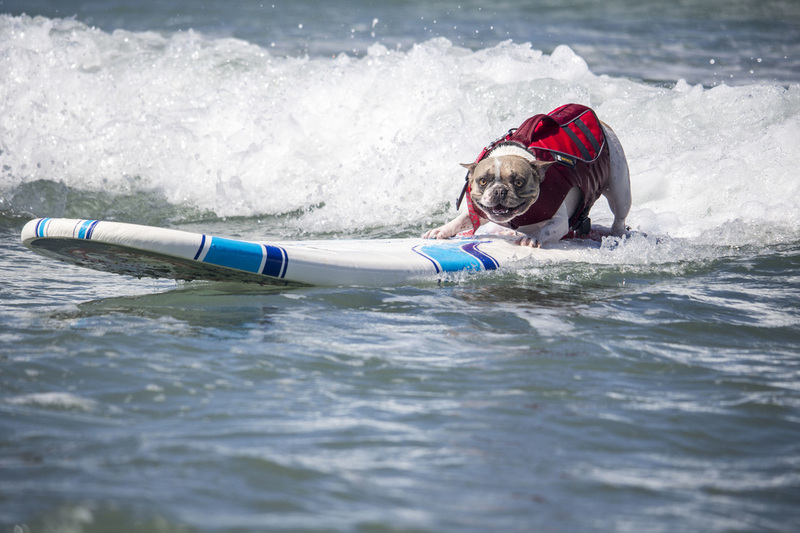 I took lessons all summer long and took part in my first competition at the 2013 Surf Dog Surf-a-Thon in Del Mar, CA. While I didn’t come close to winning, I was the second largest fundraiser for the Helen Woodward Animal Center. 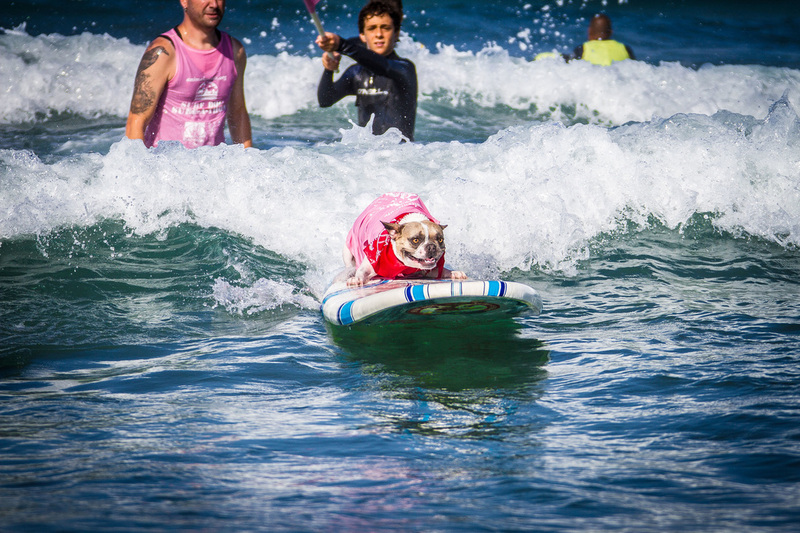 In 2014, I took surf classes again all summer with the So Cal Surf Dogs and Helen Woodward Animal Center and competed again in the Surf Dog Surf-a-Thon. Again, I didn’t win anything in the competition, but this time I took first place in fundraising! 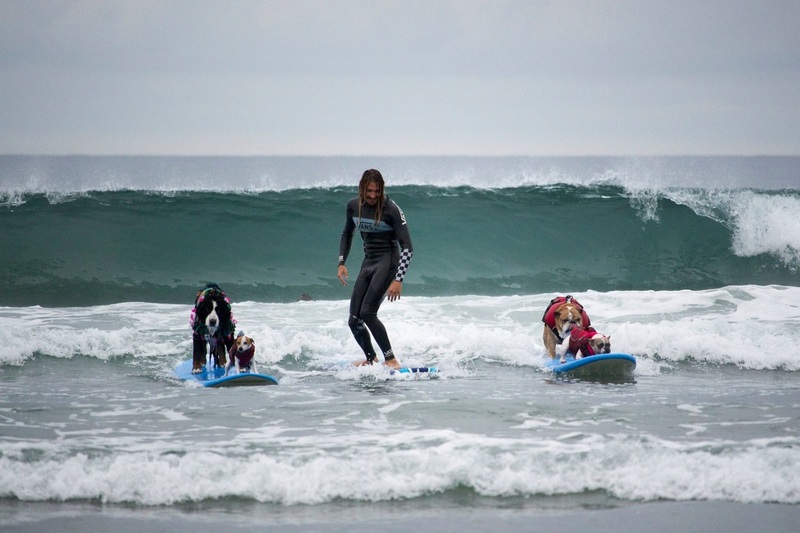 I love raising money for animals in need because, at one time, I was an animal in need! 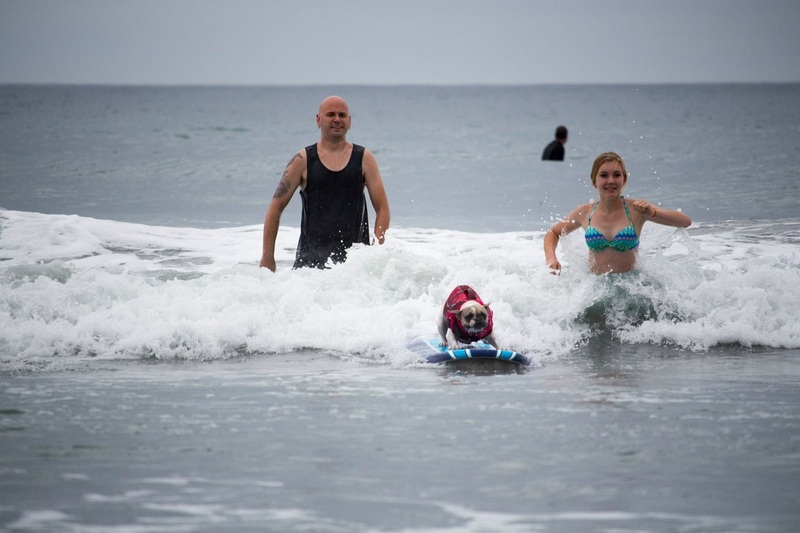 At the end of September 2014, I took part in the Surf City Surf Dog competition in Huntington Beach, CA and took third place in the Medium Dogs division! 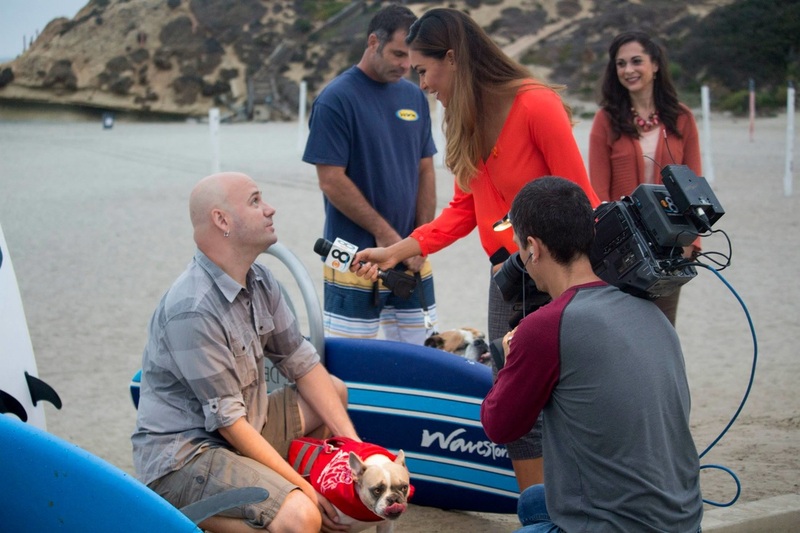 I was so proud to stand next to my friends Brandy the Pug and Butters the Boston Terrier. Us smooshy faced breeds ruled the day! 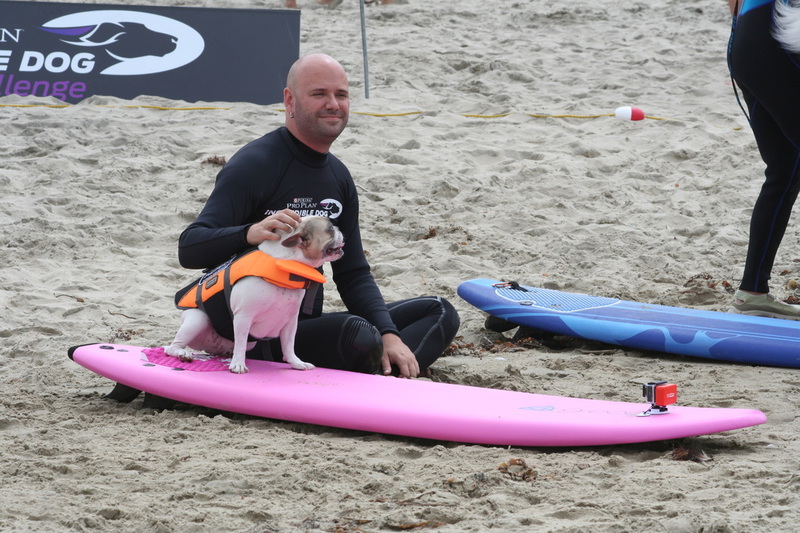 The 2015 Surf Season is upon us… so far, I’ve competed in the 2015 Purina Pro Plan Incredible Dog challenge and plan on taking my new pink surfboard to three other competitions in Imperial Beach, Del Mar and Huntington Beach. And I’ll keep raising money for animals in need along the way!